Last month we took a look at some ways that technology is impacting the funeral service industry. It’s a fact - no matter how long you’ve had your funeral home or how many generations the business has passed through, if you aren’t advancing with the times, word of mouth just isn’t enough to keep you in business. We live in a competitive market, and that's why we called in digital marketing experts to provide the tips below. Younger generations of people who are going to be making funeral arrangements for their parents and grandparents aren’t necessarily driven by loyalty. They are driven by Google. There are over 19,000 funeral homes in the United States (National Funeral Directors Association), and you can believe that the majority of them are fighting for space on the internet. Younger generations believe in finding a place to do business is made easier by asking Siri. Overall, people trust their friends and family about 61% of the time when making a purchase, but they trust other consumers 53% of the time and use online recommendations nearly 40% of the time (Statista.com). Those last two stats are quickly catching up as younger generations get more tech savvy and start to find quick ways to access info online. Your website is more than just a place to find information - it is now an integral part of your sales and marketing team. It has a bigger reach than any single person on your staff. And, if it’s not effective, you will miss out on opportunities you simply can’t get anywhere else. It’s not only that - it’s one of the least expensive ways to get new business. But here’s the catch: They only work the way they are supposed to if they are optimized to drive business. That’s the part that people forget sometimes when they are thinking about their website. You might have a great looking website that is in essence a luxury yacht in the middle of the ocean. Sure, it looks great, but if no one knows that it’s there, does that matter? No one is going to come to that yacht on their own. That yacht needs to go out and pick up some passengers if anyone is going to experience the opulence. Your website works the same way. You have to equip your site with the tools that will enable it to do more than wait for traffic - it has to go out and find the people that are looking for you and just don’t realize that yet. In the world of the internet, content is currency and you can never have too much. The caveat to that is to remember to always post with purpose and always make sure you are using the right keywords and phrases to get people to find you. Blogs are a great place to start because they are not only helpful when people need a resource, they are also a great place to add some keywords and talk about the subjects that make you an authority in your field. Domain authority is a metric that Google uses to determine whether or not a company knows their stuff. If Google thinks you are an authority in the mortuary industry, it is more likely to refer someone to you than someone else! Make it easy to get in touch with you. You have to make it as easy as possible for prospective clients to reach out to you if they would like to do business. You should have your phone number in the header on your homepage and make it “click-to-call” so if people are looking at your site on their phone, the only thing they have to do is click a button to get in touch with you. Make sure you have an easy-to-access “Contact Us” page with the phone number, address/map and online contact request form so if someone wants to contact you with details they have the ability to do so. Getting traffic to your site doesn’t matter if visitors can’t follow up, so make sure you give them the opportunity to do so. Handle your basic SEO to-dos. These show up not only on the search page, but also in the tabs at the top of the page when someone is on your site. H1s and H2s are the headlines that show up within your content. What do these things have in common? There are specific rules (not just guidelines) set forth by Google to ensure that these things are optimized for search. Yes, they are helpful when you are looking at them because they help you know what is on a specific page. But more importantly, Google uses them to direct traffic, and if they are optimized correctly, they can be an important tool to help you get visitors on your site. Get your site ready for mobile viewing. Make your site reflect the quality of your brand. Unprofessional pictures taken on a phone, poor grammar, poor site designs and non-branded color schemes are just a few of the errors that can impact the way your site is reflected online. Not only can these factors lead to a poor user experience, some of them can impact Google’s ability to search your site and your site’s performance, and, again, Google doesn’t like that. You might penalize yourself inadvertently if you aren’t following the general rules of web design and standards. You’ve all been to a website that has cost that brand your business because it just didn’t look like a place where you’d want to do business. It’s not enough to just have a website anymore, you have to go to the next level and make sure it reflects a business that is worthy of earning the trust of a consumer who is making a very important decision that ultimately could impact his or her entire family. Now that you’ve got a more effective website, you’ll be getting more traffic which means you have a higher likelihood for some tough situations you might not have experience dealing with. That’s where we come in. 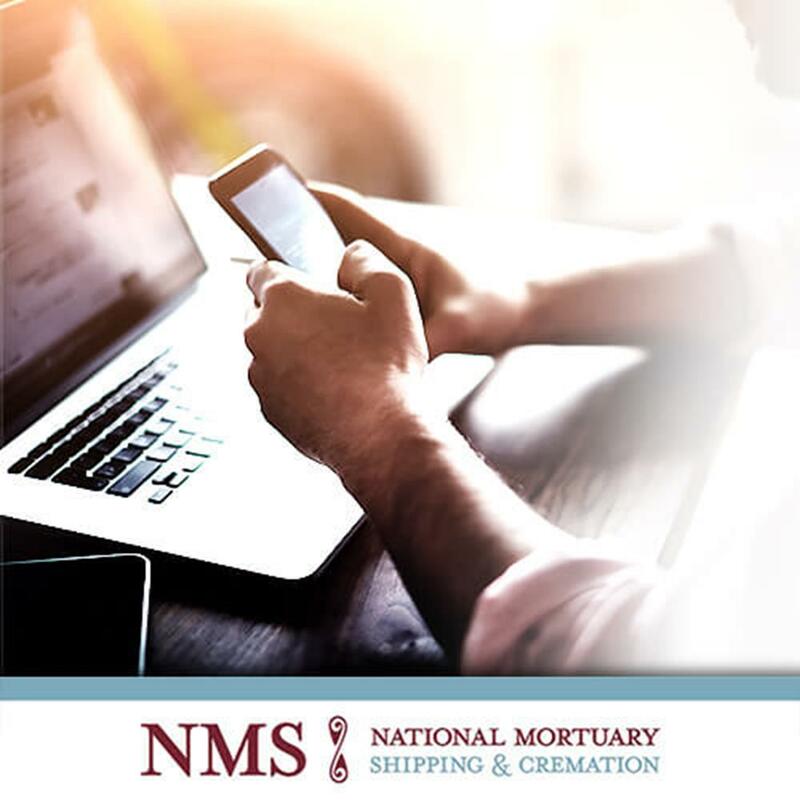 National Mortuary Shipping is here to make sure that you are optimized just like your website. There is not logistics situation that we haven’t faced – so, contact us today with all of your funeral industry and body shipping scenarios and let us handle the tough stuff, so you can get back to handling the important stuff, like the families you serve.